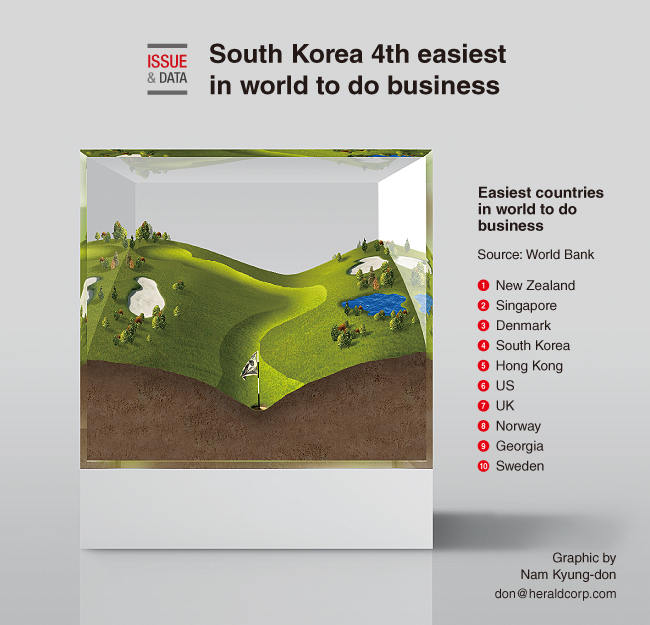 South Korea ranked No. 4 among the easiest places in the world to do business, according to the “Doing Business 2018: Reforming to Create” report released by the World Bank. New Zealand was No. 1, followed by Singapore and Denmark. Starting a new business in New Zealand takes the fewest procedures (one) and shortest time to fulfill (0.5 day), according to the report. The ranking uses 11 indicators to measure aspects of business regulation across 190 countries worldwide. Of the top 20 economies on the list, 14 are high-income Organization for Economic Cooperation and Development economies.